Viola Systems enables devices, equipment and systems to reach almost any location worldwide. The professional Viola solution for data transmission over mobile networks provides seamless connections. Customers of Viola manage, monitor, and gain data, as if they were on the spot. 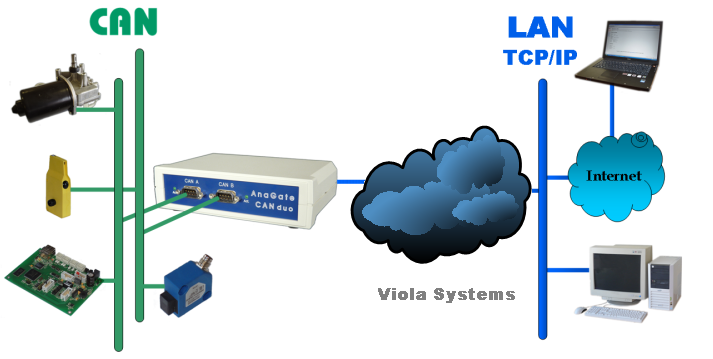 All devices of the AnaGate series can be interconnected easily via the Viola solution. Particularly CAN bus networks can be connected via the AnaGate CAN devices as usual.. Please contact us if you need further information about Viola Systems and our gateways.